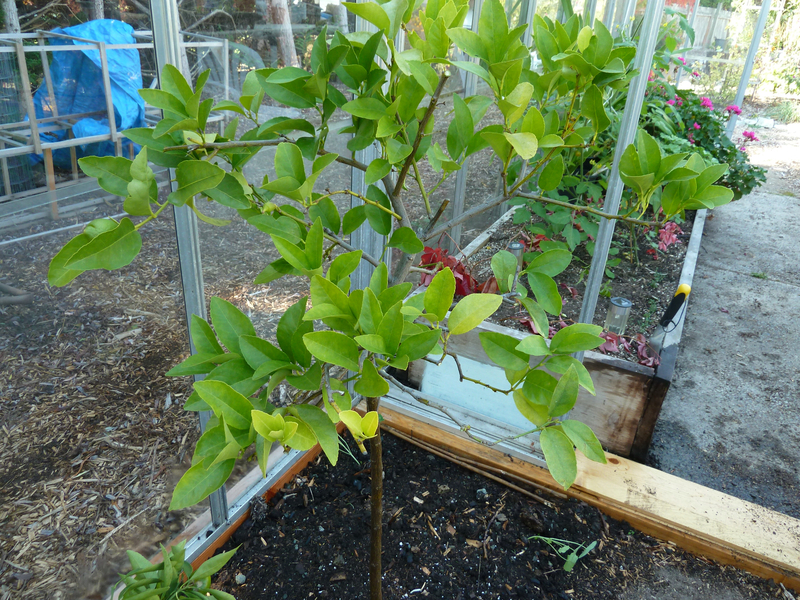 My Home and Garden: Bearrs Lime Tree planted into the greenhouse. The Bearrs Lime is officially planted in the greenhouse. 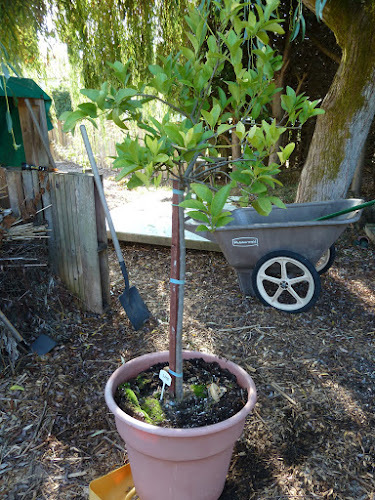 We also moved the Owari Satsuma Mandarin Orange tree in in its pot. We will plant it next week some time. This was the weekend they had to go inside. My garden calendar says so!! 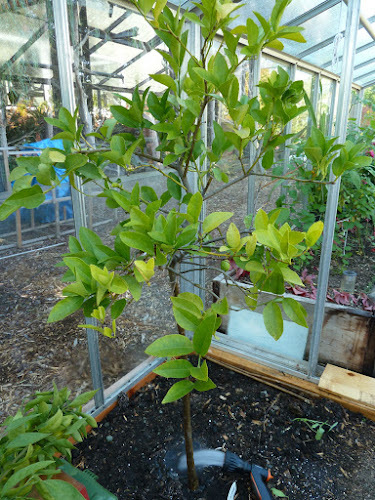 The far branch of Mandarin Orange is so heavy with oranges, it is bending to the ground. We are using our food recycle green box to support it. There must be 15-20 oranges on it. I will count for you. It weighs about ten pounds. 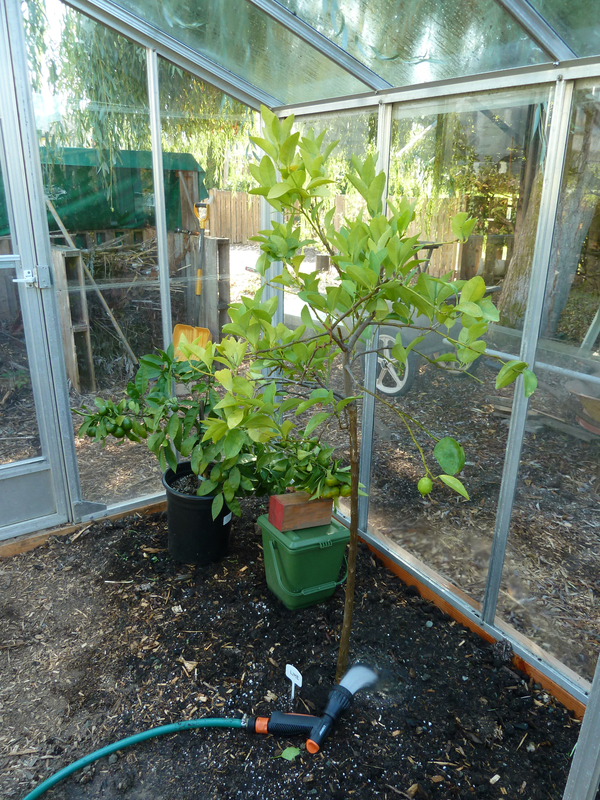 IT IS OFFICIAL, WE HAVE A CITRUS HOUSE !!! I'm sure your citrus house will do well. Hope those mandarins ripen for delicious eating. While in Sidney, visiting the Salish Sea Museum, we popped into Pitt and Hobbs, such a gorgeous store, chatted with your son for a couple of minutes. The next time we were in Sidney we were checking into the hotel for an early morning flight the next day. We walked to the gorgeous waterfront to enjoy the evening. I really wish I had been there to see you!!! 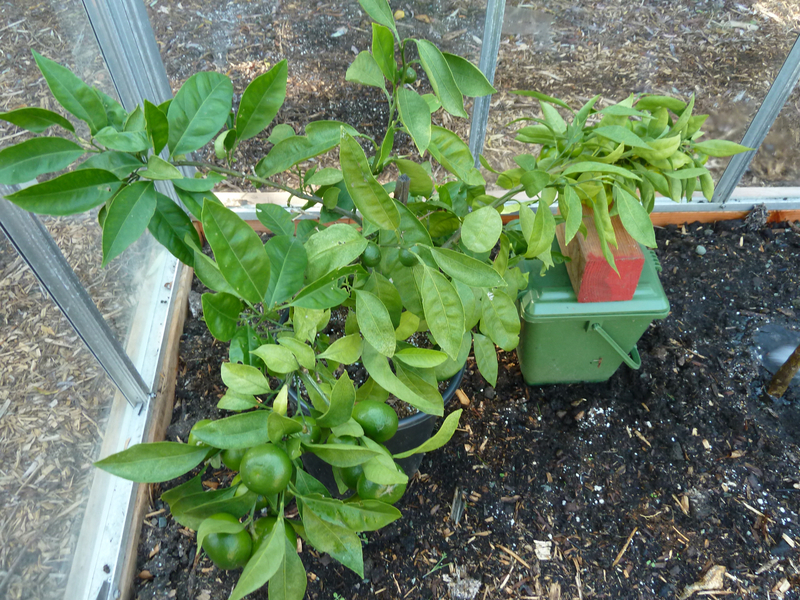 The mandarins are ripening really fast now. I have about forty of them on the tree.